Suggested by DarkLK Don’t mess with the lord of nightmares! She is a cosmic being of immense power who temporarily took control of Lina Inverse but ultimately chose to show her mercy. Despite the fearsome title she appears to be a very reasonable person. Also, she can fight which is huge for this battle. 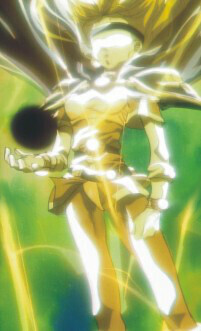 Tenchi can also fight though as his sword can destroy whole meteors. He’s pretty bad at fighting but his overwhelming abilities really help him out. It’s a close fight since both contestants really rely on their omnipotence as a crutch, but I think Tenchi has proven himself a little more. 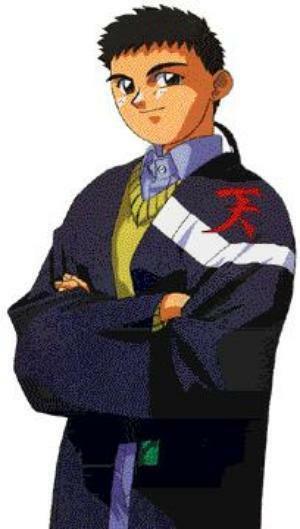 Kami Tenchi wins. This entry was posted in Battles, Kami Tenchi Battles, Lord of Nightmares Battles and tagged Kami Tenchi, Lord of Nightmares by dreager1. Bookmark the permalink.